In 2013/14, the State Government announced a number of Urban Activation Precincts (UAP) across Sydney which would be areas of high density. The RMS land at the northern end of Wentworth Point was designated as a UAP. The number of apartments in this area was significantly increased, with the promise of improved traffic arrangements and funding for development of a Peninsula Park at the tip of WP. Refer to the map at left for the location of the park. Throughout 2013/14, there were several consultation sessions with a Community Reference Group (CRG). During this time, concept plans for the UAP and the park were presented. The park was an exciting concept with a range of active and passive recreational areas and various landscapings. It included a foreshore path that would ultimately connect the part of WP in adjacent to Homebush Bay to the north at the ferry wharf. Since that time, there has been no progress on the park. City of Parramatta Council, to whom the park would ultimately be assigned have no knowledge of it. WPCC, in conjunction with Luke Foley (our local member), has launched an advocacy campaign to have the Peninsula Park developed for our growing population. The campaign for the park needs to focus on the Planning Minister, Anthony Roberts. We need to make our voices heard with the message that WP has waited long enough. We are one of the very few suburbs that exist without a park for residents. Whilst some smaller parks are planned throughout the area, these are still some time from fruition and will be relevant to small sections of the community because of their location. On Sunday 22 October, a public rally was held adjacent to the park location. Around 90 people turned up to hear from Luke Foley and Bronwyn Evans of WPCC. There is a groundswell of support for getting this park. Our advocacy campaigns are most effective when the community swings in behind. One person can face the press, but the politicians listen when the see community numbers. An online petition has limited success, because politicians know it only takes a few seconds to sign. It's when they see people actually doing things that take a bit longer that they realise people really care. Showing up to the rally was important, and now it's time to follow through with messages to the Planning Minister. We need you to send an email, or a letter, to Anthony Roberts the Planning Minister. Click here to generate an email. This will be automatically addressed to Anthony Roberts, and will also cc Luke Foley and WPCC so we have visibility of the quantity of responses. Make any modifications that you wish. Put your name and address at the bottom of the email. Open your word processing software. Copy the text to the right of these instructions and paste into your word processor. Put your name and address at the bottom of the letter. This is the text to copy into your letter if you are sending a paper letter. 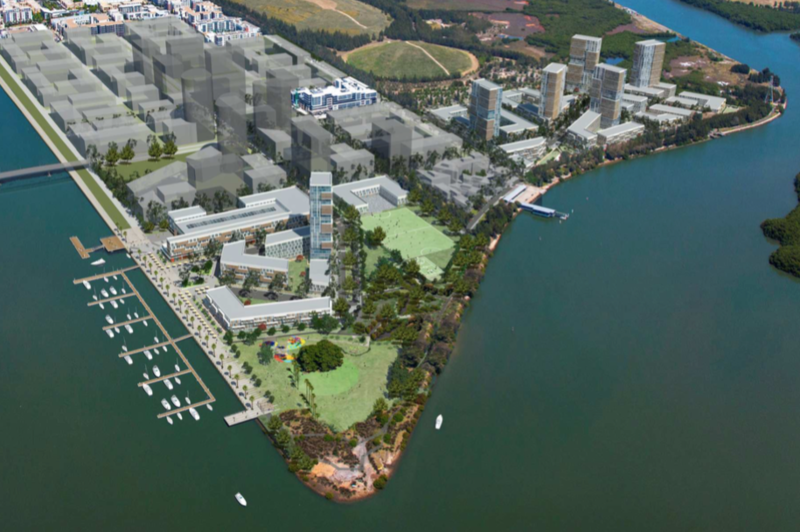 I am a resident of Wentworth Point and I am very concerned about the Government's failure to deliver the Peninsula Park within the promised timeframe. The 3.9ha Peninsula Park was promised as part of the State Government's 2014 Wentworth Point Urban Activation Precinct announcement. The park is supposed to connect to a continuous path and cycleway along the foreshore linking Sydney Olympic parkland. However, three years since the announcement, the area is still fenced off with no access for our community. Wentworth Point is one of the fastest growing suburbs in Sydney. Our primary school was due to open in 2017, but didn't. Our park was due to be completed in 2016, but we are still waiting. I would appreciate it if you could prioritise development and confirm when the park will be completed.